Keta: I live in the Midwest part of the United States on six acres of gorgeous woodland. When I'm not writing or gardening I love to commune with nature. A pair of barn owls returns to the property every year to birth their young and show them off in the high branches of the oak trees. Nothing more adorable than these white fluffy babies with heart-shaped faces. A lifelong animal lover, I devote my time and support to the local animal shelter. Emma LaPounce, a rescued feline, has been my furry companion for the last ten years. I'm an award-winning and best-selling author who writes in several genres: Western Romance, Historical Romance, Paranormal Romance and Contemporary Romance. In a past life, I wrote Gay Romance. My books have received numerous accolades, including RWA contest finalist, Authors After Dark finalist, Top Pick of the Month and Recommended Review from top review sites, and Best Romance Finalist from The Independent Author Network. 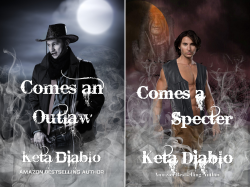 Keta: See above in my Author Bio – for some strange reason ghosts always show up in my stories. No different in Comes A Specter, Book 2, Ghostland Series. Several reviewers said they loved the book, but the ghost scared the bejeebers out of them. Gee, I wasn't scared. Anyway, I didn't even know I was writing about all these ghosts. One day, as I was going through my backlist of books, I said, "Oh. My. Gosh. Keta!! You write about ghosts all the time." Read some of my blurbs and you'll see what I mean. No matter what genre I choose, somehow a ghost shows up. I used to see them—ghosts—when I was a toddler, but that's another story for another day. Maybe subconsciously, that's why they keep showing up in my stories. Keta: Let's see, where were we? Oh, yeah…inspiration for Comes A Specter. 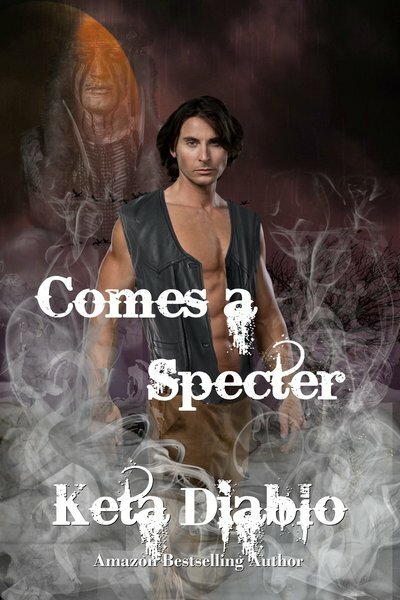 I love Western Romance, and since I have such a penchant for dead people, er, I mean those who have crossed over, I created sort of a new sub-genre, Western Romance Ghost Stories. I love writing about cowboys, cowgirls, horses, ranches, rodeos, and…did I mention translucent spirits? Keta: Across many genres, but never romance when I'm writing romance. Thrillers, suspense, angels/demons, Native American fiction, and small-town contemporary (serious stuff). I hardly ever read humorous. I bet that doesn't surprise you coming from a person who saw ghosts as a child, huh? Which are your three favourite books of all time? Keta: Gosh, no. I read it so many times while writing it; I'd get bored to death with the same old, same old. LOL. Keta: Well, I'm really no one to be giving advice to other writers. I made plenty of mistakes starting out myself, so maybe that's it – study the craft of writing. Know the basic rules at least, and then get good enough at writing you feel comfortable breaking some. I mean, there are some you should never break, but breaking one now and then won't cause the earth to stop spinning. I have a lot of books on my Kindle (see above). I can't tell you how many times I read one chapter and delete the book. If it doesn't grab me right away with lots of questions, then I'm outta there. Take for example Harper Lee's opening line in To Kill A Mockingbird: Scout: When he was nearly thirteen, my brother Jem got his arm badly broken at the elbow. I mean, she hooked me. Completely. I was in the sixth grade the first time I read that line, and from that moment on, I wanted to know who Jem was and how the heck did he break his arm? That book really opened my eyes to reading, gave me an appreciation and love of the written word. Six months ago, Anya Fleming's ten-year-old son, Willie-boy, found his father hanging in the barn. Traumatized over his father's suicide, the boy hasn't spoken a word since. 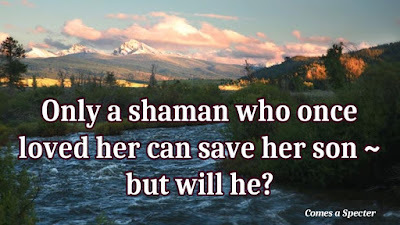 Now, Willie-boy has come down with a grave, unknown illness and there's only one man who can save him, Sutter Sky, a learned Blackfoot shaman known as Yellow Smoke—a shaman who was once deeply in love with Anya. As if Anya didn't have enough to deal with after her husband's death and her son's illness, an evil, sinister ghost is terrorizing their ranch. Anya is convinced the spirit is Lewis, who apparently isn't done making her life miserable. When she turns to Yellow Smoke for help, will he put aside his bitterness and save Willie-boy? 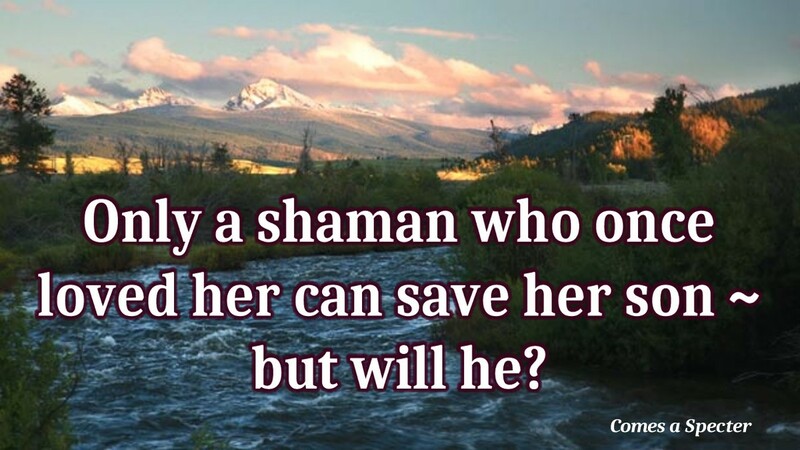 And can the renowned shaman dispel the powerful ghost from their lives and send him back to Hades? "Make my enemy brave and strong, so that if defeated, I will not be ashamed." Tendrils of darkness breached the room as Sutter slipped through the window of Anya's room. He didn't want Willie-boy to see him dressed for war, the ebony handprints –chin to cheek—the tunic and leggings splashed with blood red paint. If he didn't return, he wanted the boy to remember how he looked the last time he saw him. A misty cloud of energy trailed Sutter as he sprinted through the woods, a sign the wraith was on the prowl and primed for killing. That suited Sutter just fine. He had one goal in mind—lead the ghost toward the pit. He'd worry about how to implement the second part of his plan when the time came. An odious stench spiraled up his nostrils, another potent omen the heavy, scuffing footsteps behind him belonged to Ten Wounds. Moments later, a cry from the dead and damned cleaved the dark, chilling Sutter's blood. No wonder Lewis had cracked, no wonder Anya and Willie-boy were terrified of the evil spirit. No wonder Cobb had said, 'Run, brother. Take Anya and run.' Close, the Zeuzeu was close now. Sutter imagined the ghost's rank breath stirring the long, dark hair at the nape of his neck. The pit loomed ahead. Sutter spotted the pine branches and broken boughs he'd placed over the illusory grave. "Now or never", he said to the full moon overhead and came to an abrupt halt. Drawing a deep breath, he mustered up his courage and turned to face Ten Wounds. A haze of gray mist swirled around the spirit's form, his human form. If the situation weren't so serious, Sutter could have shouted with joy. He took in the ghost's visage. A quiver hung from his shoulder stocked with sharp, pointed arrows—a sign he'd transformed into the fierce warrior who once walked the earth. Steeped in blood (no doubt from his recent kills), his clothing hung in tatters around his massive frame—a vest made of animal hides, a breechcloth and fringed leggings. Sutter's gaze traveled to his painted, pock-marked face. Yellow and white stripes marked his forehead and chin, and black circles blended into his dark eyes. For a brief second, Sutter's insides quivered and ropes of tension knotted every cord and fiber of his body. Bleary, unearthly eyes speared Sutter when the wraith raised a hand of claw-like fingers and pointed at his enemy’s chest. The wind, much like the sound of a thousand women wailing, keened into the deafening silence. Fire exploded from the ghost's eyes—flames the fires of Hell couldn't compete with. Sutter shouted over the infernal noise and flames. "You are not welcome here! Hear my words, you are dead!" Five (5) Winners will receive an ebook of their choice from Keta's book list (Comes A Specter excluded). Visit her website or Amazon to choose. Five (5) winners will receive a large bar of speciality bath soap from Asquith & Somerset or Castelbel (Keta's favourite soap vendors). “Dark Visions” has a release date!